A couple of months ago you couldn’t move for blogs with people showing you their “Mannequin Hands”. Basically, a mannequin hand is one where you’ve painted your nails the same colour as the skin of your hand, making you look like you have longer, slimmer fingers. 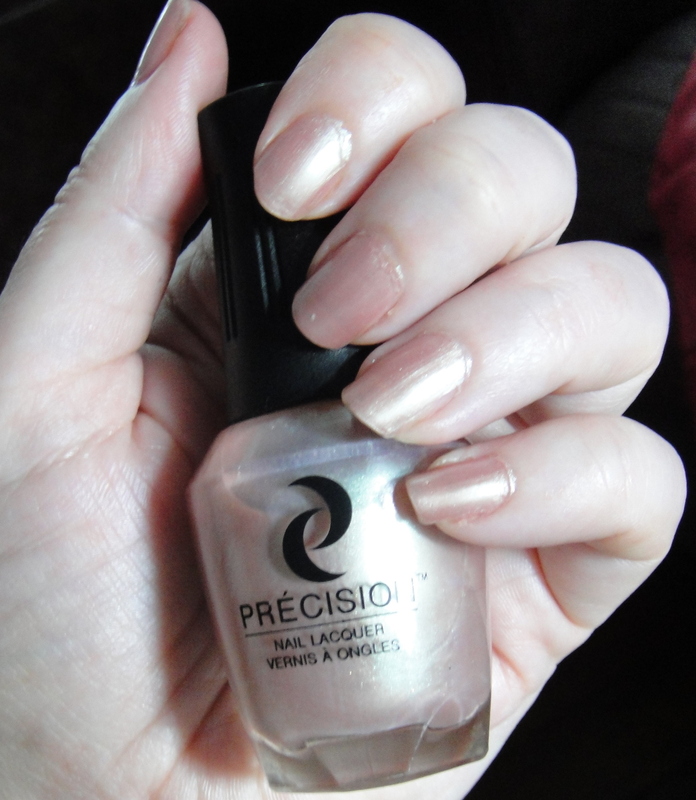 Sadly, my hands are more sausage fingers than mannequin, but this polish – P300 Kismet from Precision – seems to have worked better for me in this craze than some other, more beige shades I’ve been trying. Yes, it’s a bit frosty – and therefore not a “real” mannequin hand, as you’re meant to use a creme shade – and yes, it’s a lot paler than I thought the skin on my hands was in the first place, but I do kind of like the shade, I can’t deny it. But I also can’t deny that this looks dated in the picture, because what you can’t really see here is the amazing green/pink duochrome that’s in the polish! It’s very visible in the bottle, but sadly not on the nail, and not in these pics … The pics have also washed out the shade a little, it’s actually slightly more pink than it appears here. 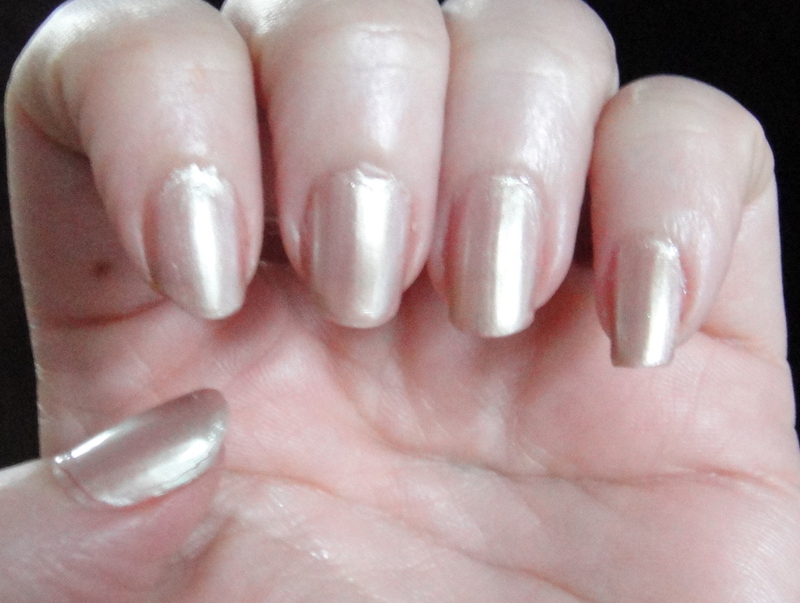 Pics show four coats – I still had some visible nail line, but I can live with it – over an Orly sticky basecoat, and under a layer of OPI Rapid-Dry top coat. The polishes last well, the picture above is several days old now, and there’s no chipping or signs of tipwear. Precision polishes cost £5.95 and are available from Venus nail and beauty supplies. I’ve not bought from these people though – this polish was a gift – so buyer beware, and all that. What’s your take on mannequin hands? I regularly buy from Venus. They are excellent. And their Misas and China Glazes are great prices. I never think of mannequin as quite so frosty/shimmery. I do prefer more opacity with nudes. I don't really get the mannequin hand thing. Probably because mannequins really creep me out. I agree, mannequin hands make me squeamish, but these are delicately beautiful! Ha ha! That did make me laugh, thank you Jasmine! i LOVE venus nails. they have a ton of super old china glaze and misa for sooo cheap. shipping was way fast toO!